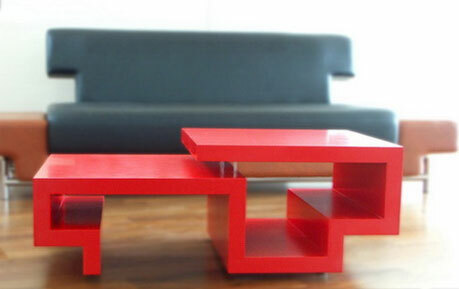 The Bond coffee table – geometrically flawless. 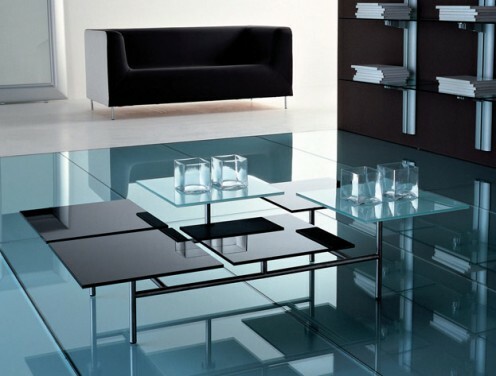 The Bond’s staggered black and aqua glass panes create two tiers of contrasting brilliance. 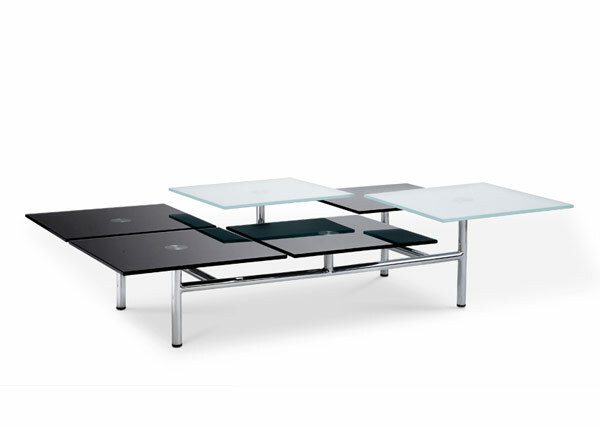 Each square “floats” on a cross-sectional stainless steel frame with rubberized feet for excellent support and no-scratch maneuverability. 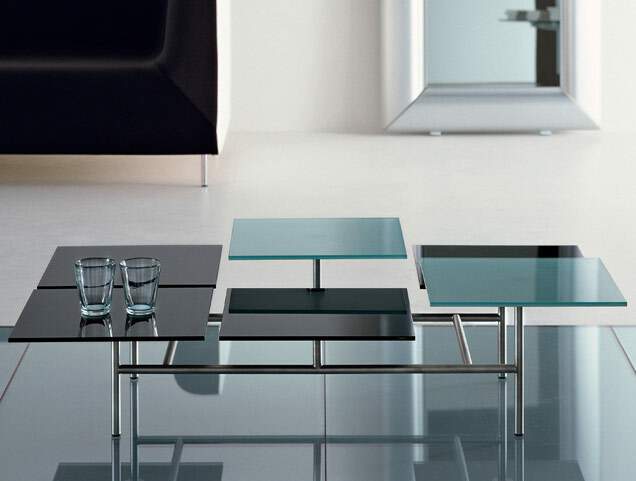 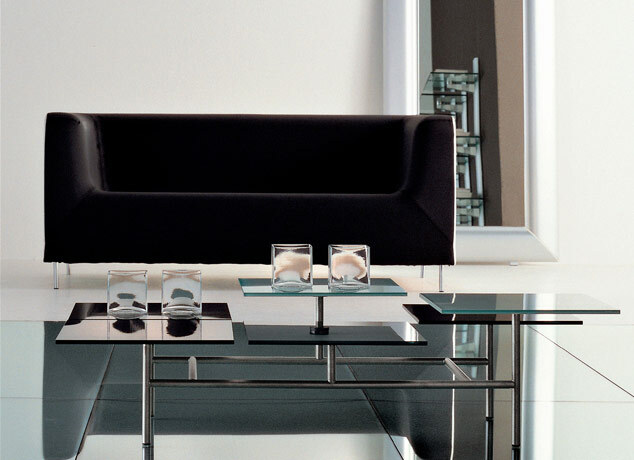 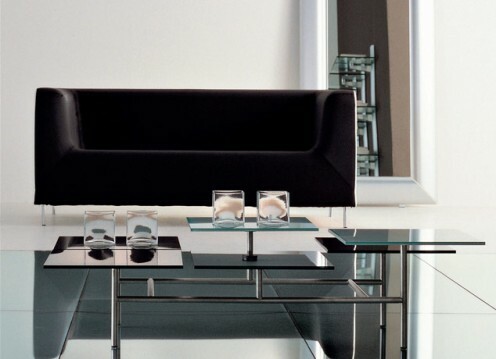 The Bond’s coffee table asymmetrical design and unique detailing make it the perfect cocktail table. 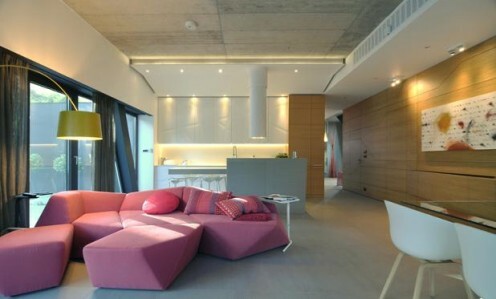 Offered by Modloft.